OUR CORE VALUE IS EXCELLENCE. IT DRIVES EVERY SOLUTION WE DELIVER. Theseus provides comprehensive engineering services, using proven platforms and strategic systems that ensure the utmost safety, security and superior functioning of your facilities. Theseus effectively and efficiently interprets and implements the latest quality assurance standards, regulations and requirements affecting you and your business. 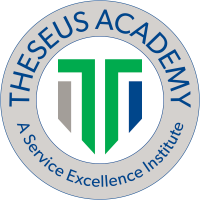 Motivated by a desire to educate and empower our clients, we have instituted Theseus Academy to offer a wide range of training—established upon continuous quality management, quality assurance and performance excellence. Powered by our wealth of experience spanning several decades, Theseus is an industry-certified team of dedicated, knowledgeable professionals focused on delivering top level engineering, security design and quality assurance consulting services. Our foundation was built on providing our clients with proven management systems and customized, comprehensive and innovative solutions to the most complex security design and compliance issues. Most of our courses are developed upon basic principles and are therefore modular in nature, yet all of our training can be customized to meet our customer’s classroom or distance learning needs.